Welcome to the home of all VentureOut Retail Tech programming! We have been actively supporting Retail Tech companies for years. 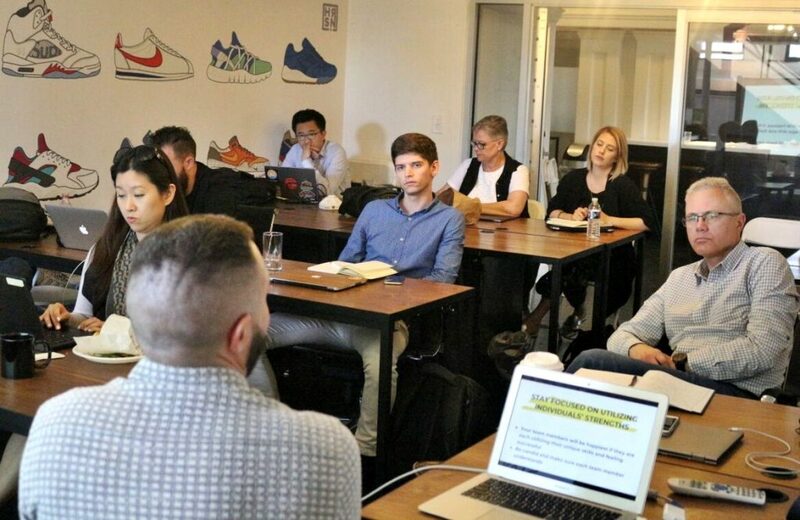 Following is an overview of the programs we have run to support companies in Retail Tech, the innovative companies that have come through these programs, the mentors and investors we introduced them to, and summaries of the previous programs we have run. 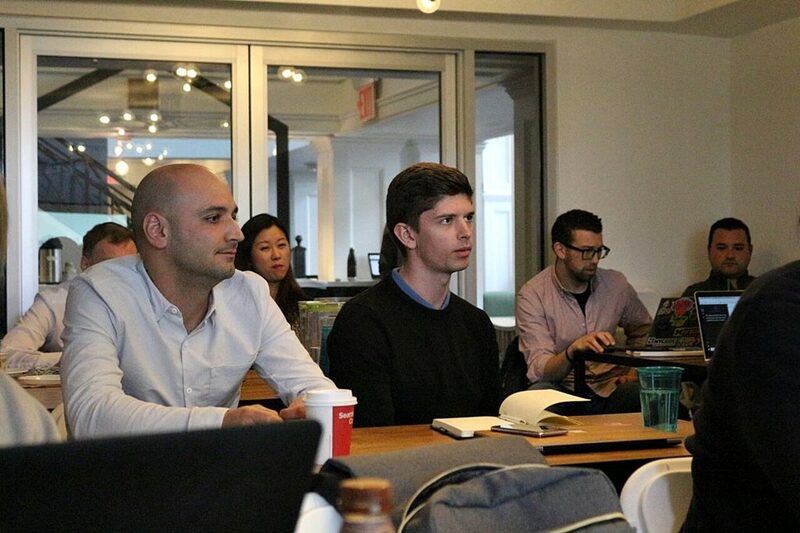 Meet 20 thought leaders, decision makers and investors in Retail Tech in NYC in 3 days. Whether innovation officers at top corporates, the most active venture investors or CEOs of the most innovative startups, this program will super charge your network in Retail Tech. 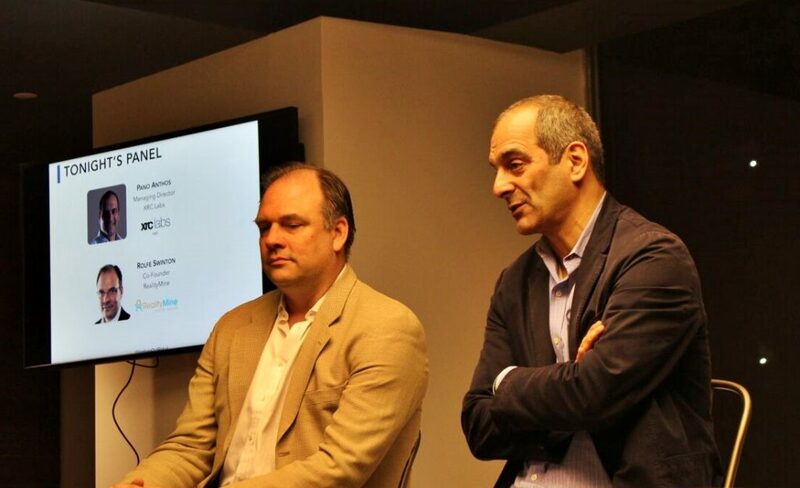 Meet over a dozen tier-1 venture capitalists and angel investors focused on Retail Tech. 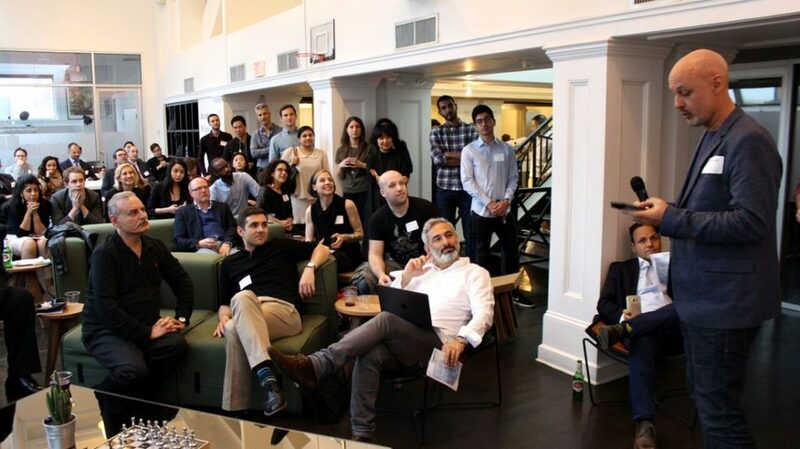 Through VC office visits, one-to-one meetings and our pitch events, you will have the opportunity to learn from and pitch some of the world's leading Retail Tech investors. Fundraising Workshop with Mike Taormina, Co-Founder of CULE, Credit Union Lending Exchange. "How to build a team and create a customer" session with Eric Neher, Vice President of E-commerce & Merchandising at Birchbox. 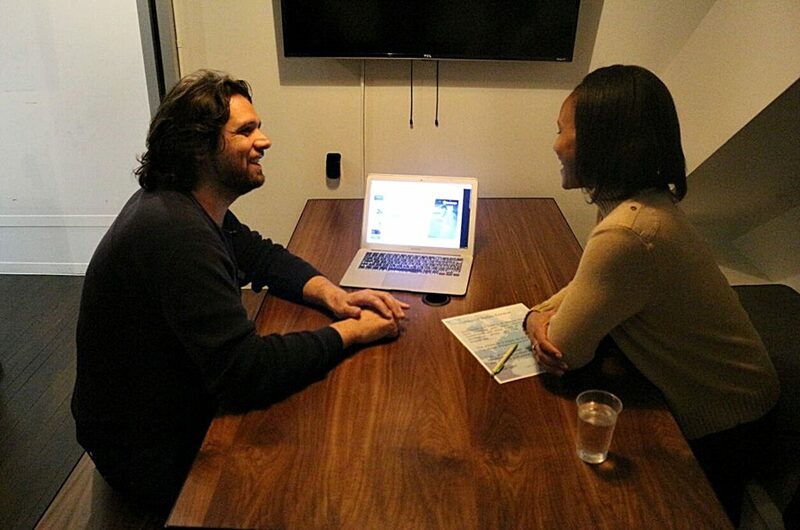 Michelle Bacharach, Founder & CEO of FindMine, enjoying a one-to-one mentoring session. 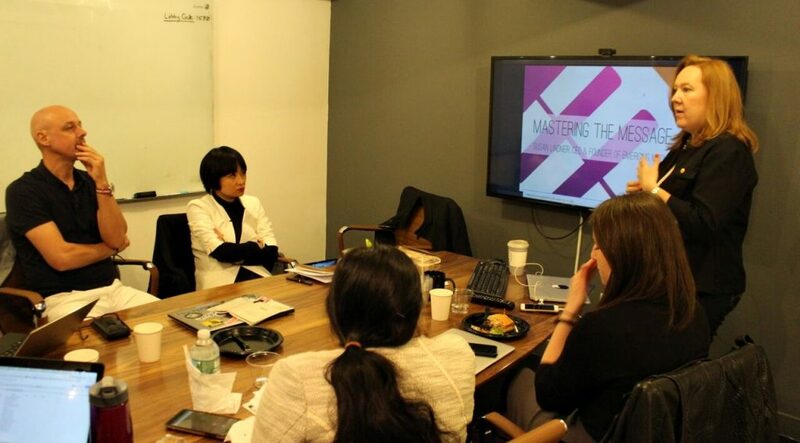 Susan Linder, Founder of Emerging Media, hosting the "Mastering the Message" workshop. Bonny Morlak, Founder of Tiltsta, pitching in front of the audience and our seasoned investor panel. Fundraising & Finance workshop with Paul Bianco, Director of ffVC, one of the best performing seed- and early-stage venture capital firms investing in some of the strongest growth areas to date, including cybersecurity, artificial intelligence, machine learning, drones, enterprise cloud software, and crowdfunding. Brand & E-commerce Expert Insight session with Mark O'Neill, CTO of MM.Lafleur, one of the most flourishing clothing companies in the US. 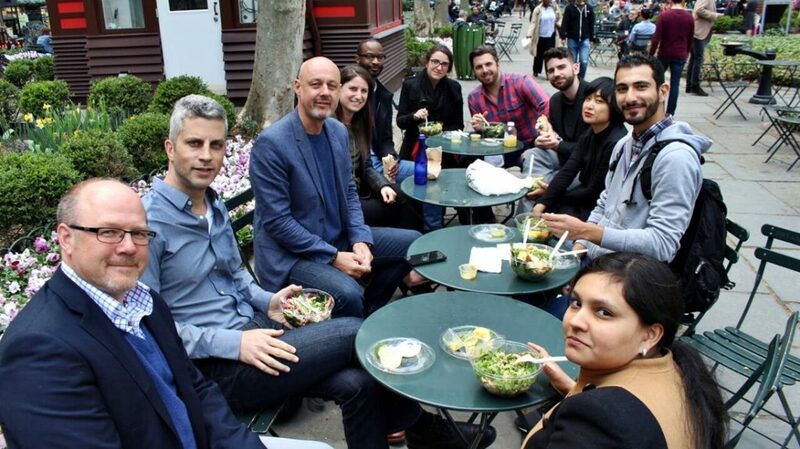 The April 2017 cohort enjoying lunch in Bryant Park with our team. Which happens to be right next to our office. 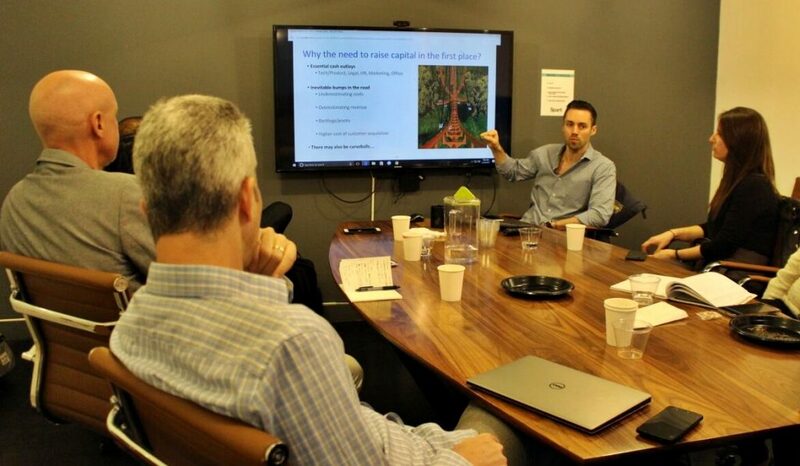 Investor Introduction with Gareth Jefferies, Investment Manager at Northzone, an early stage venture capital fund. 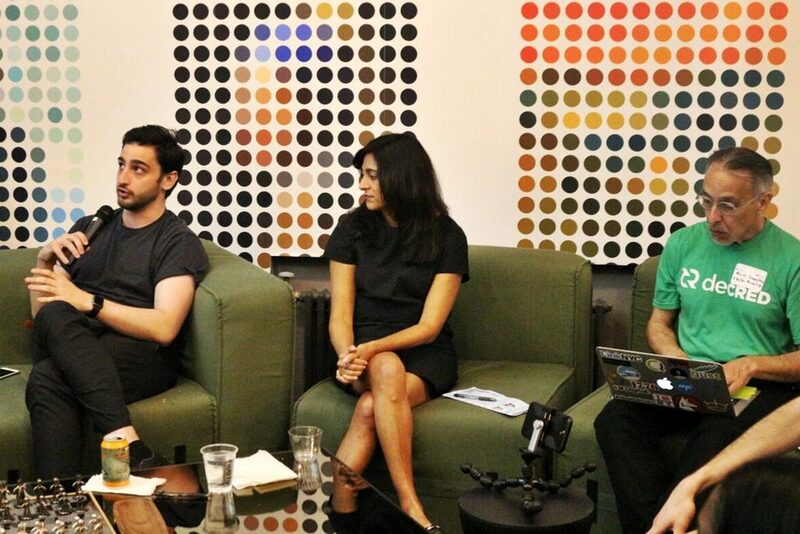 Our amazing Pitch Night Investor Panel: Sapna Shah, Principal at Red Giraffe Advisors and Yoni Rechtman, Analyst at Tusk Ventures. Our Private Reception Expert Panel: Pano Anthos, Managing Director at XRC and Rolfe Swinton, Director, Data Assets - North America at GfK. One-to-One mentoring session on how to build the perfect pitch. VENTUREOUT relies on its preferred Retail Tech partner to better understand the industry and to leverage their network of thought leaders in retail. The VENTUREOUT Retail Tech Programs are tremendously impactful because they are built upon the companies that drive the Retail Tech ecosystem. Meet the investors, corporate execs, startup founders and other thought leaders that serve as mentors in our Retail Tech programs. Alex is currently a Research Associate at Placeholder, he previously studied Economics and Politcal science at the University of Virginia. Before his time at Placeholder, Alex spent two years studying early stage investments with Lowe's Ventures. On his spare time he enjoys reading and publishing literature on crypto currency. In addition to this, in his list of skills and endorsements, Alex has financial modeling, venture capital and public speaking. Vanessa Pestritto is working with Ripple's investment and incubator program Xpring. She was formally a Program Director of New York Angels and blogger at IamVP.com. Vanessa manages the deal flow pipeline at New York Angels from sourcing through funding and constantly improves the membership experience for investors to increase engagement investment and startup community participation. She is a true optimizer and is on a mission to make the world work efficiently. John is Experienced Investment Professional with a demonstrated history of working on both early-stage Venture Capital and Leveraged Buyout deals. He is a former KEC Ventures analyst and associate John was a systems engineer at the New York Stem Cell Foundation (NYSCF) where he built inventory management and incubation software to automate the cell reprogramming process." Sutian is responsible for evaluating new investment opportunities. Sutian was previously Director of Marketing for Norisol Ferraria New York-based luxury outerwear brandand worked in Sales and Marketing at MarketFactorya FirstMark portfolio company developing software applications for high-speed trading platforms. Sutian holds a B.S. in Finance and Marketing from the Stern School of Business at New York University." Sumeet Shah has 6 years of experience across the startup and private equity industries, formerly running new business strategies at Gist Digital and handling business development and project work at Gotham Consulting Partners. Former consumer product-focused venture capitalist looking for the next opportunity within a great consumer brand, agency, or consumer VC firm. He graduated from Columbia University with a degree in Biomedical Engineering, specializing in Biomechanics. Jonathan is a dynamic young entrepreneur. 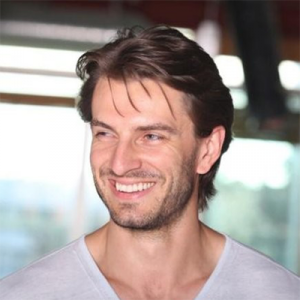 Passionate about numbers and statistics, Jonathan Cherki founded ContentSquare straight out of ESSEC Business School in 2009. ContentSquare empowers every member of the digital team to optimize the customer journey and dramatically increase conversions. Jonathan has made ContentSquare a "life project" and is extremely attentive both to the market and online retailers' needs. 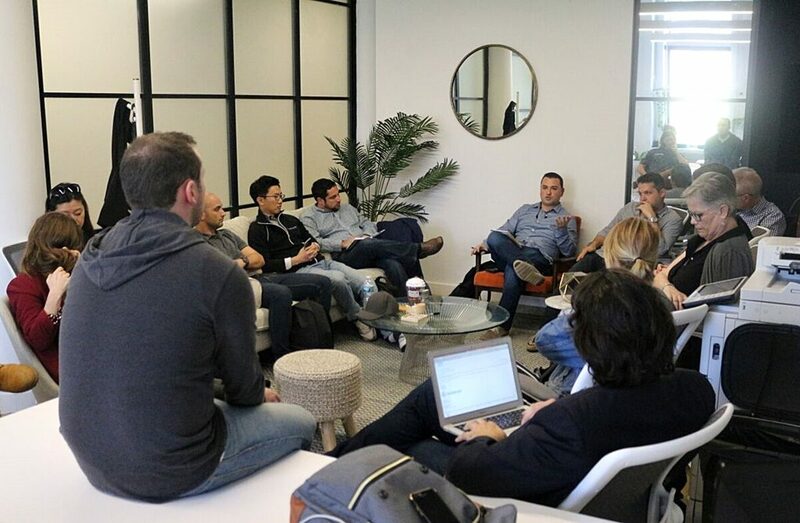 He is a prominent member of the FrenchTech startup community and described by Gartner as one of the 4 Most Innovative Technologies in eCommerce, ContentSquare is the best way to learn how to make your customers happy. Technology startup co-founder and CEO. Strong background in strategy and product management with heavy agile experience. She is a former Senior Admissions Consultant with The MBA Exchange, where she helped develop content strategy and provide comprehensive admissions consulting for MBA applicants seeking admission to top-tier programs. Michelle also used to work as program manager director at Univision Communications. Nael is co-founder and partner at Outbound Ventures, a venture capital firm focused on helping ambitious teams that want to make an impact on a national and international scale. Outbound Ventures has connections in Latin America, the U.S. and the U.K. to connect our portfolio companies with the people and resources they need to make a difference. They primarily invest in pre-seed and seed stage rounds. Justin Gage is an investor at Cornerstone. He works on analyzing early-stage deal flow of software companies in spaces like VR and Big Data and meeting cool people along the way. He helps source companies, does deep diligence on stuff Cornerstone's interested in, and research industries and geographies that might be relevant to the company. He received a B.S. in Computer Science and Data Science from NYU Stern School of Business. Experienced tech and innovation consultant looking to combine my track record of developing strategies and products that solve for business and consumer needs with my experience leading developers and solving technical challenges. Former engagement manager for Fahrenheit 212, an innovation consultancy focused solely on catalyzing top-line growth. 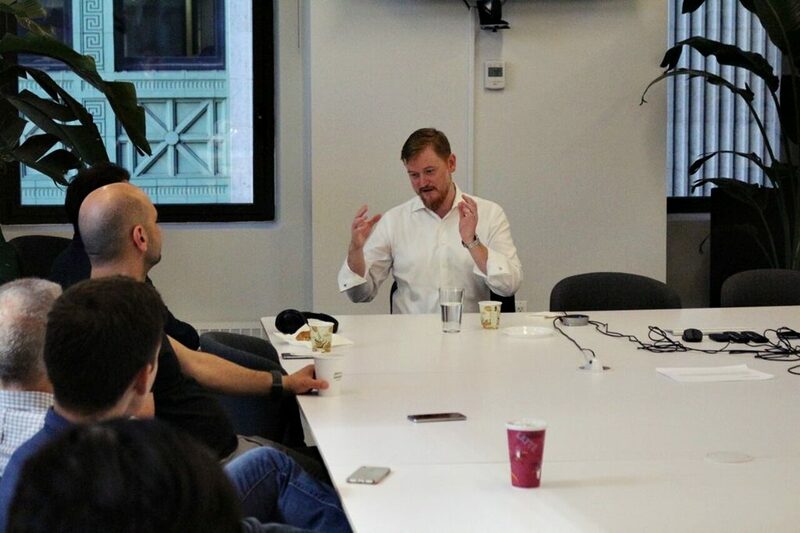 Charles Smith has been an active NY angel investor since the mid2000s who has invested in more than a dozen companies, and has worked for and sat on the boards of ten more. He founded Extension Entertainment, a social music discovery platform. He is the owner of The Ineo Group LLC. Charles spent three years as the Vice President of Etsy Inc., was Vice President of Sales at Tacoda and Executive Vice President of Corporate Development and Planning at RealMedia. Mark O'Neill is the CTO at MM Lafleur. MM Lafleur's purpose is to provide women with the rotation of professional, sharp clothes that can be thrown on in the morning with only cursory thought. True to the mission of making women's lives easier by cutting steps instead of adding them, MM.LaFleur will deliver to your door a box of clothes specially picked out for you. Mark has had over 15 years of experience as a Chief Technology Officer at Thrillist and JackThreads. Mark graduated from Tufts University with a degree in Computer Engineering. Andy is the Director of Operations for NY Tech Alliance (formerly NY Tech Meetup), a non-profit organization that runs the largest Meetup group in the world with over 55000 members and a mission to build a more sustainable and diverse technology industry for all New Yorkers. Overall, a passion for justice and diversity is a huge passion for him and he advocates about the importance of diversity in the tech community and business cultures to anyone whether they are ready to listen or not. Michael Hershfield is the Senior Director of WeWork, the leading provider of working space around the world. Michael has spent his career in the technology and internet sector bringing seed-stage companies to hockey stick growth. 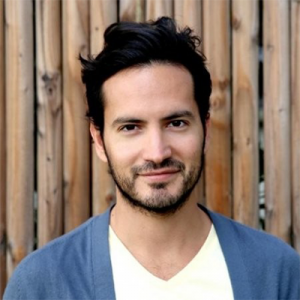 Prior to WeWork Michael held leadership roles at emerging growth companies including Howcast Media multi-platform media distribution network where he was Director of Business Development and Legal Affairs. Before his time at Howcast, Michael was the CEO and co-founder of LiveStuba secondary ticket marketplace that changed the landscape of the online event marketplace in North America. Earlier in his career Michael specialized in technology and entertainment law at Toronto-based Fasken Martineau DuMoulin. Sandeep Bhanote has over 15 years of experience as a start-up entrepreneur, building strong product, marketing and innovation teams in the retail technology sector and successfully delivering emerging technologies to market in a profitable and scalable way. Sandeep was the founder and CEO of Global Bay Mobile Technologies, a pioneer in delivering transactional mobile solutions to emerging Omni and Brick and Mortar retailers and driving the wide adoption of Apple mobile devices in stores. This innovation created the path to closing the gap between digital and brick and mortar channels in retailing. 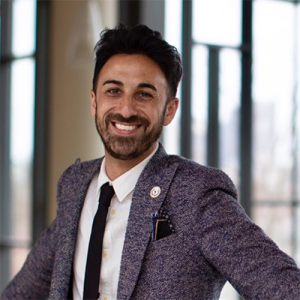 Prior to his role as the Head of Merchandising & Content for the Brand Incubation department of Walmart, Eric was the former Vice President of Merchandising at Birchbox. He oversaw a team of 15 and was responsible for the merchandise assortment across the Birchbox women's subscription box and e-commerce site. He was also responsible for driving all aspects of the merchandising function including strategic vision, team operations, budgeting and P&L, vendor relations, and organizational structure. Eric sat on the Birchbox operating team representing merchandising at the executive level. Previous to Birchbox, Eric worked at Lipstick Queen and he graduated from NYC with a BFA in Drama in 2004. Ms. Leslie C. Cohen is currently an Adjunct Professor at Parson School of Design at The New School served as the Executive Director at XRC Labs. She also acts as an Account Director at Taproot, providing pro-bono consulting services for non-profits in the social services and arts sectors. Ms. Cohen previously served as the Managing Director of Technology Ventures at IMG Artists. In this role, she oversaw all aspects of the development and launch of new technologies and digital strategies for artists and divisions. Gareth joined Northzone in 2015. His main area of focus is consumer and B2B technology, in particular the fintech ecosystem in London and the rest of the UK. He is involved in Northzone’s investments in fuboTV, Zopa, ComerJob, Crosslend, eProspects. 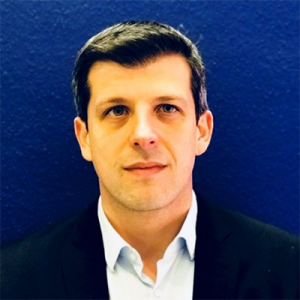 Prior to joining Northzone in 2015, Gareth spent his formative years at OC&C Strategy Consultants, advising on a mix of pure strategy projects and commercial due diligences across a varied selection of markets, from tech, travel and online gambling to distressed debt and pork sausages! Tanjila Islam is the CEO & Founder of TigerTrade. An international trade expert and economic development specialist, Tanjila designed and managed large-scale trade promotion and private sector development programs for clients such as the World Bank and the U.S. Agency for International Development throughout South and Southeast Asia. She has facilitated multi-million dollar trade deals and organized international trade fairs in countries such as Afghanistan, Indonesia, and Bangladesh. Tanjila is also an Adjunct Professor at the Fashion Institute of Technology where she teaches courses on International Trade and Global Sourcing. Serial entrepreneur and angel investor with experience pre launch through IPO. As an active early stage investor, I am interested in companies in a wide variety of businesses. I make seed and angel investments in early stage companies that represent game changing ideas or technology rather than small upgrades to the status quo. An advisor and mentor in the early aspects of building companies with expertise in strategy, hiring, branding, business development, sales, communications and marketing. Tusk Ventures is the first venture capital firm focused primarily on helping startups navigate the political, regulatory, and media hurdles that come with reshaping entrenched industries. Our investment professionals and in-house team of political and regulatory experts partner directly with high-growth companies entering highly regulated sectors and work with them to accomplish their goals through direct advocacy, campaign management, narrative development and strategic execution. Mr. Rolfe Swinton Co-Founded RealityMine Limited in 2012 and serves as its Chief Research Officer and Director. Mr. Swinton was as Co-Founder and Chief Executive Officer of Lumi Technologies Limited. Mr. Swinton has extensive marketing experience through his work with Ogilvy & Mather in London and e-commerce, consumer goods marketing and corporate strategic consulting experience as a Project Manager at Monitor Company. Mr. Swinton served as a Seasoned Manager of start-up and LBO companies. Mr. Swinton co-founded Article 27 and served as its Co-Chief Executive Officer. Sapna Shah is an angel investor, retail expert and three-time entrepreneur. Through Red Giraffe Advisors, Sapna makes angel and early-stage seed investments in retail, fashion and consumer start-ups and offers advisory services to early-stage companies. Sapna is also the founder of Retail X Series, a retail startup boot camp program for pre-seed stage founders who are revolutionizing the future of retail. Sapna has also served on the Board of Directors of New York Angels, one of the most active angel groups in the world. Karen is Co-founder and CEO of Trendalytics, a product intelligence engine that leverages machine learning to measure consumer demand for brands and products. She started her entrepreneurial ventures by founding StyleMusée, a visual portal to discover fashion social media by taste preference. At Goode Partners, she executed the firm’s investment in SkullCandy (NASDAQ: SKUL) and worked on the turnaround of a luxury specialty retailer. Previously she worked in Gap Inc.’s Corporate Strategy group, where she assessed acquisition and new retail concept opportunities such as Piperlime.com. Christopher is a successful corporate finance and strategy professional with experience in strategy development, all forms of strategic execution (mergers and acquisitions, venture capital investments, joint ventures and partnerships), transactional execution (marketing, due diligence, financial modeling) and leadership of both strategy-based and transaction-based teams. Learn about all of the incredible companies that came through our Retail Tech programs. Azoti.com enables hyperlocal food sourcing and sustainability for major foodservice & retail buyers via a unique planning and ordering SaaS solution that complements & enhances the existing food value chain reducing food waste, costs while increasing profits for all. Growing 300% year over year, Dezignable offers a technology-enabled service called Swank that provides end-to-end design, furniture procurement and installation services to residential property management clients. Through our prop tech platform we are able to offer complimentary design services for BtoB clients allowing 100% of budget to go towards furniture procurement. At present, we have a sales team in the Pacific Northwest (Seattle/ Portland) and southern CA. We plan to expand our tech platform to a BtoBtoC resident design platform in 2018. ShareMyBag allows anyone to share their fashion items the the community in their local city. With a focus on accessories, bags, shoes and wedding dresses, ShareMyBag will allow people to transform lost value of their closet into purchasing power for their next trendy "purchase". We build autonomous robots for visualization content and data collection. We are able to create VR/360° videos that allow you to move as if you are walking, making the content more realistic. The visual content is web-based, can be played in multiple languages, and works on most modern device. As a full-service B2B provider, VirtualAPT works with large clients across the US to create value added and customizable content. Cloosiv is a mobile solution that will change the way consumers engage the buying process. We are a merchant-agnostic, customer driven tool that enables you to pay for goods and services from a single app on your phone, regardless of who you are, where you are, or what you're buying. Founded in 2011, iTell.io is a digital place-based advertising exchange. Our core product connects brands with targeted demographics and revives revenue streams for ATM operators. We provide news, help, insights, and information in order to erase the mundane from people's daily lives. Our unique advertising capabilities allow us to transform a traditional Automated Teller Machine into an interactive digital place-based advertising platform by way of the ATM screen as well as use of a digital touchscreen ATM topper. - Impulse buying at the flick of the wrist.